Hot Shot Class ranges in age from 6-8 and meets two days per week. These boys are invited to join Hot Shots because they have displayed a great attitude in class, good gymnastics skills and a high degree of intrest. 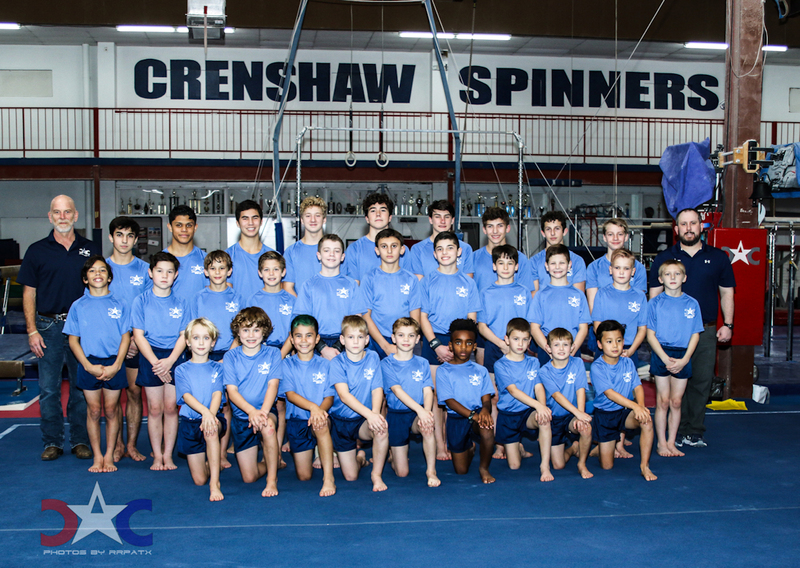 The class is designed to begin teaching the boys basic gymnastic routines and give them a feel for a competitive type workout. The goal of the program is to prepare these boys so they can be invited to join the Junior Team this summer. Formal invitations are either in August or January of each year. Boys' Junior Team ranges in age from 7-12 and will generally have 2-3 different teams which are divided by different levels. Most of these boys are competing at a Level 4, 5, 6 or 7. Workouts are 3 - 4 days per week. Boys' Senior Team is made up of the strongest optional competitors and range in age from 10-18 years. These boys compete at Level 8 - 10 and make up the most dedicated boys. They workout six days per week and travel both in and out of state to competition. The rewards far outweigh the sacrifices. Competitive meets for Hot Shot, Junior & Senior Teams are both in-town and out-of-town. Generally about 5-7 meets per year is the rule. Coaches expenses, meals, motel, travel and a small per session stipend are split among the traveling team members. We give some financial consideration to those parents who help chaperone. When a boy is made a Spinner, the parents become a part of the Parents' Club. This organization helps keep the team running smoothly on out-of-town meets or special team activities. The Parents' Club budget is made up only of monies made from in town meets or special fund raising activities. The money is then used for upper level meets and the end of the year team picnic.